Order your copies of Amazing Spider-Man #15 EXCLUSIVE featuring cover artwork by Tyler Kirkham and colors by Sabine Rich! A Tyler Kirkham EXCLUSIVE! Available in full color in 3 unique variants. Individual or sets, signed or unsigned are available. Signed copies are autographed by Tyler Kirkham. Limited web store offer. Remaining cover B & C inventory will be sold exclusively at conventions. Amazing Spider-Man #15 EXCLUSIVE has been restocked in limited quantities. Our pre-order inventory sold out quickly. We've since reviewed our entire print run for quality and are releasing additional copies on our web store. This 2nd chance opportunity includes inventory reserved for our web store and conventions. Due to the nature of producing comic books, some copies may present minor visual imperfections. Pricing of SIGNED products includes the signature fee: a $10 value per comic. Signed copies are autographed by Tyler Kirkham and include an official Certificate of Authenticity authenticating the signature and limited nature of the comic book. 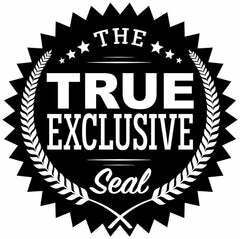 The True Exclusive Seal means just that! A product sold EXCLUSIVELY on this store and nowhere else. Due to the limited inventory of the product, all books are sold as is. Products have been reviewed for quality control. No exchange, refunds or returns. Suggested pricing. Subject to change prior to launch. Product quantities are approximated and do not account for actual losses and damages. Product images are renditions and may differ from actual product. Signatures on signed products are renditions and may differ on actual product in shape, size, positioning and ink color. We do not combine orders. We do not partially destroy print runs for the purpose of influencing market value.